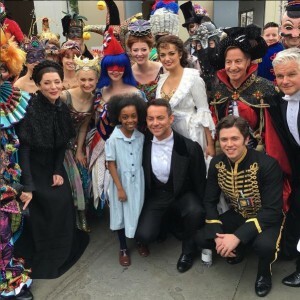 Last weekend, Trafalgar Square was transformed and filled with thousands of musical theatre fans for the annual theatrefest that is West End Live. 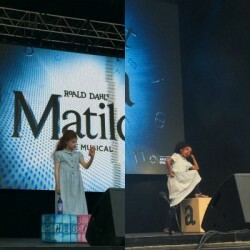 Matilda The Musical was there on both days to perform to the buzzing crowd. 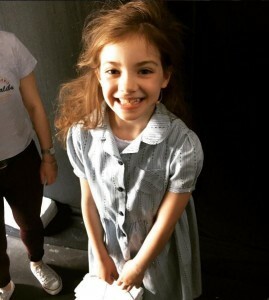 Performing as Matilda this year were Zaris-Angel Hator and Emily-May Stephenson. 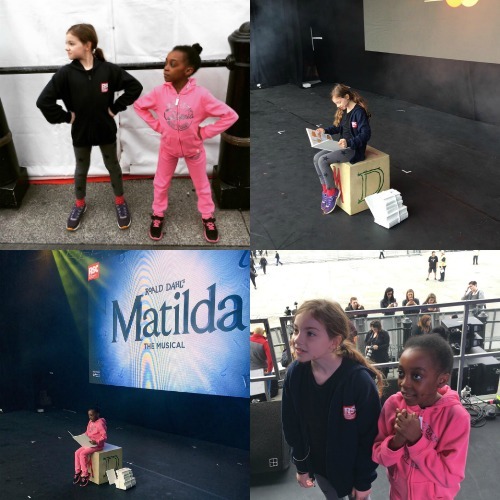 Before the weekend kicked off, Emily-May and Zaris Angel arrived at Trafalgar Square for a sound check and to run the number through. Zaris-Angel performed on Saturday, but not before meeting the lovely cast of Phantom of the Opera! 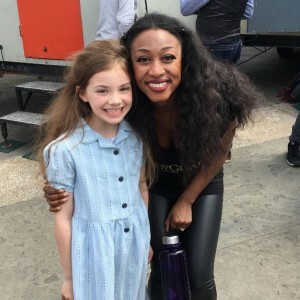 After wowing the crowds, she bumped into Beverley Knight backstage for a chat and a photo.